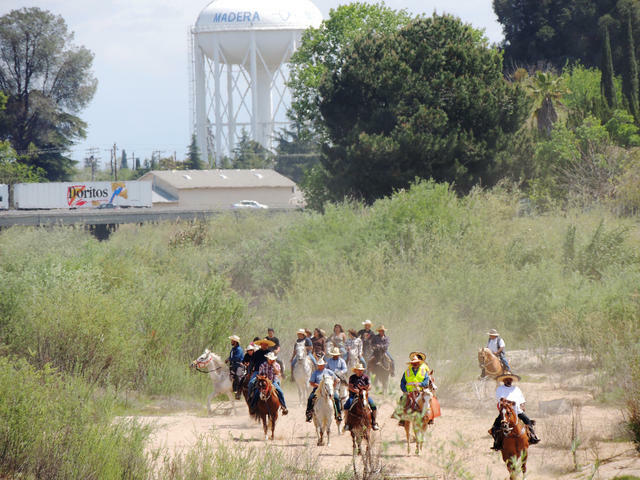 A couple months ago, a group of horsemen rode along a dusty San Joaquin Valley highway during an annual commemoration of Joaquin Murrieta, one of California’s most enduring folk heroes. Little is truly known about the Mexican miner who traveled to Gold Rush California in search of fortune and ended up an outlaw. According to the legend, a group of white prospectors beat him and raped his true love, Rosita. Consumed by revenge, he formed a gang and blazed a trail of terror across the state, killing dozens of men, robbing banks, and delivering the spoils to the downtrodden. On July 25, 1853, California rangers cornered Murrieta at the edge of the Diablo Range near Coalinga. They sawed off his head with a bowie knife and later displayed it in a jar at mining camps for paying spectators. 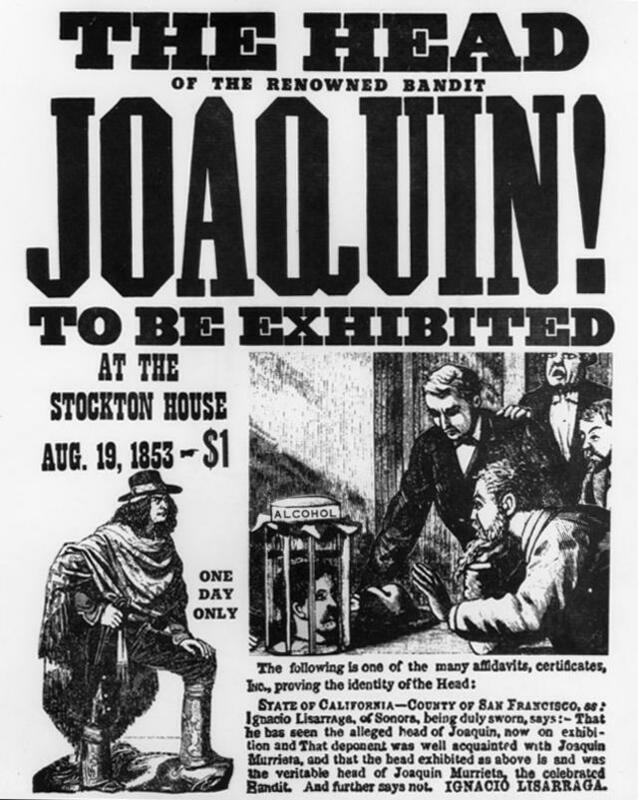 A flier advertised a showing of the head of Joaquin Murrieta at the Stockton House in 1853. It was debated whether the victim was really the fabled bandido or some other unlucky Mexican killed for the reward. But a couple years later — on this week in 1855 — the head and a dismembered hand of one of Murrieta's lieutenants were sold at auction for $36. Fictionalized accounts of the "Robin Hood of El Dorado" proliferated in books, music, and films as Murrieta came to represent ethnic pride and a yearning for justice at a time of rampant racism and atrocities toward Mexicans. The head ended up at a San Francisco museum that was destroyed in the 1906 earthquake. But its story didn’t end there as rumors circulated that the specimen had been rescued. A century later, a New York filmmaker who was researching Murrieta received a mysterious package from California that purported to contain the long-lost head — still preserved in a jar. That set off a quest — chronicled in John Valadez’s short documentary "The Head of Joaquin Murrieta" — to finally honor the remains and the history surrounding them. 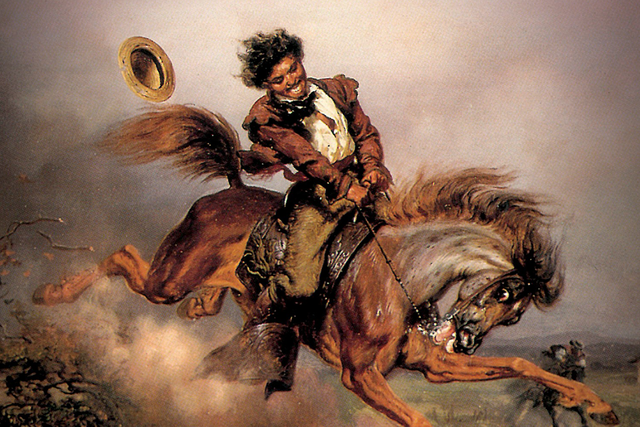 A depiction of Joaquin Murrieta by the 19th-century artist Charles Christian Nahl. In the film, Valadez recounts the horrors that whites visited upon Mexicans. In proportion to their numbers, he noted, Mexicans were lynched in the Western states — 871 of which were documented — as often as African-Americans were lynched in the South. A few winters ago, as the sun dipped low, Valadez pushed a shovel into the desert somewhere in the American West — he wouldn’t say exactly where — and buried the alleged Murrieta head. Speaking by phone this week, Valadez said he didn’t really believe the remains were authentic. It looked like wax, he said. But even so, he was moved by the ritual. 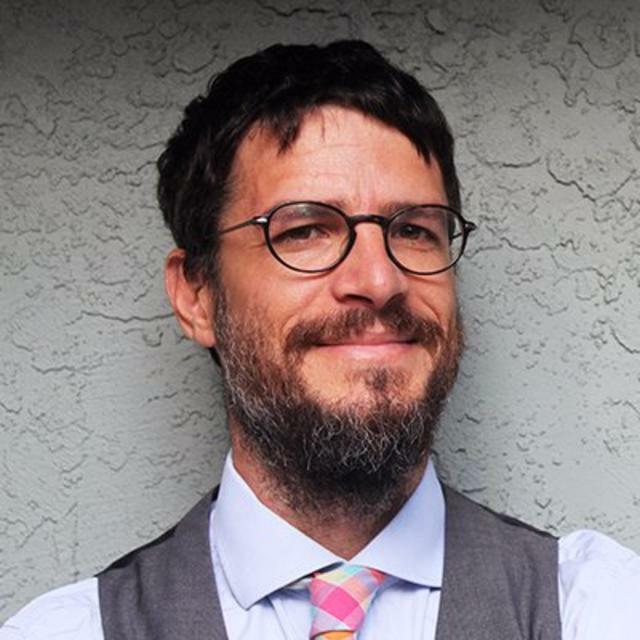 "For me, the way to exorcise the ghost of the American West — the horrors of the past — is you simply have to tell the tale and acknowledge what happened," he said. "The spirits are saying, 'Just acknowledge what happened to us. Give us the dignity so we can rest in peace.'"